Doug Hein was born in Pennsylvania and spent most of his adult years in New England. He came to ceramics later in life when he retired and moved to Utah in 2013. He attended art schools in Pennsylvania and Vermont and pottery classes taught by Peter Sabin in New Hampshire. He worked intermittently in painting, drawing and photography for three decades. Frustrated by the wheel when he was younger, Doug tried making pottery a few times and stopped. Some time at Goddard College in the 1970s, and a focus on hand-building and wood-fired pots planted a seed that germinated many years later. 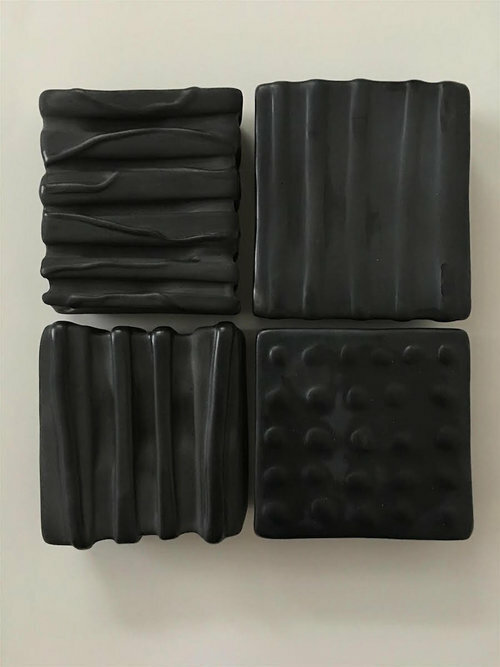 His current work is hand-built in a variety of clays, and many pieces are an extension of the two-dimensional work he did years ago. 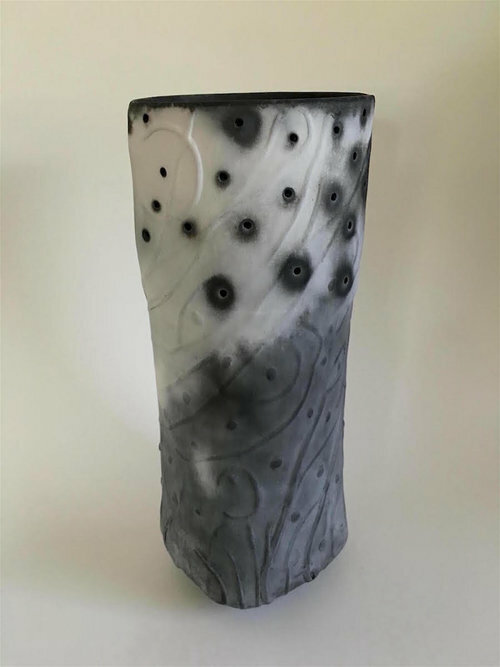 Doug uses a somewhat limited palette of matte glazes, raku and saggar finishes as well as Japanese shinos in high reduction. The landscapes in the Northeast and Southwest are primary themes, and he finds the music he listens to in the studio a powerful inspiration for particular pieces. 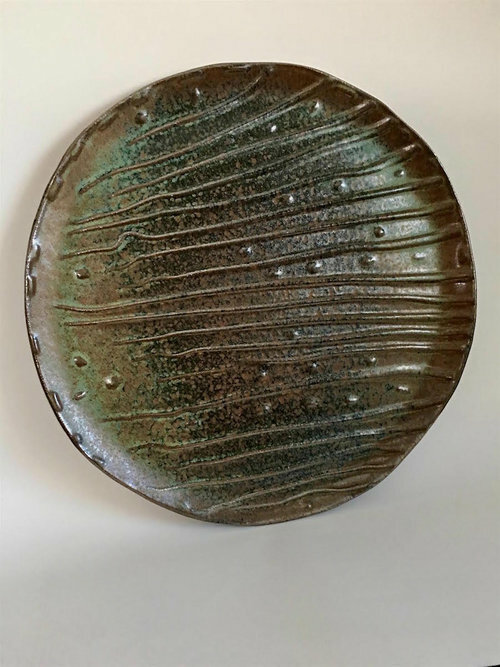 He loves the green of Pennsylvania summers, the red, gray and black mesas and night skies of New Mexico, pots that croon and sway and shapes that mimic desert and ocean forms. Narratives from past cultures and art history are common themes in the larger sculptural vessels and porcelain and stoneware reliefs.